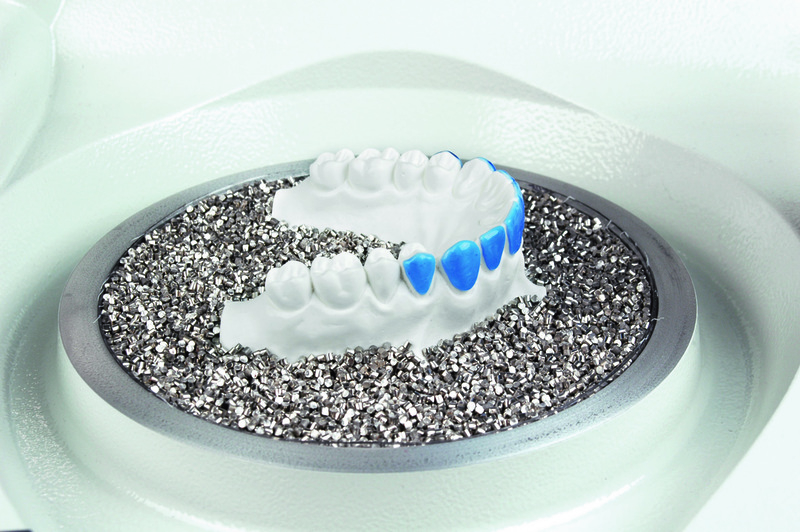 At Eurodontic, we offer a range of tools and materials for making superior, long-lasting bleaching trays. 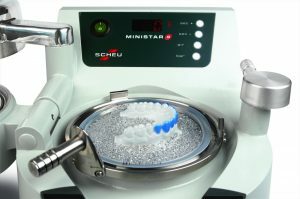 The third instalment in our series of Tech Tuneups demonstrates how to use SCHEU DENTAL products to make a bleaching tray. 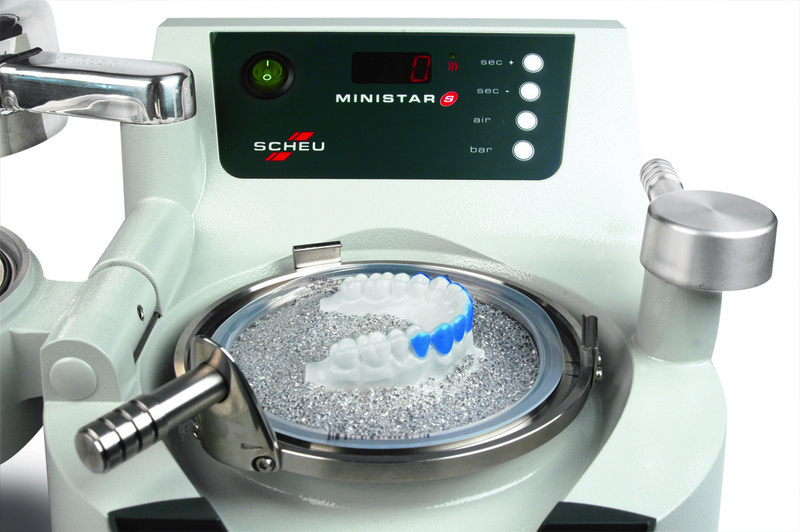 There are 2 options for creating bleaching trays. 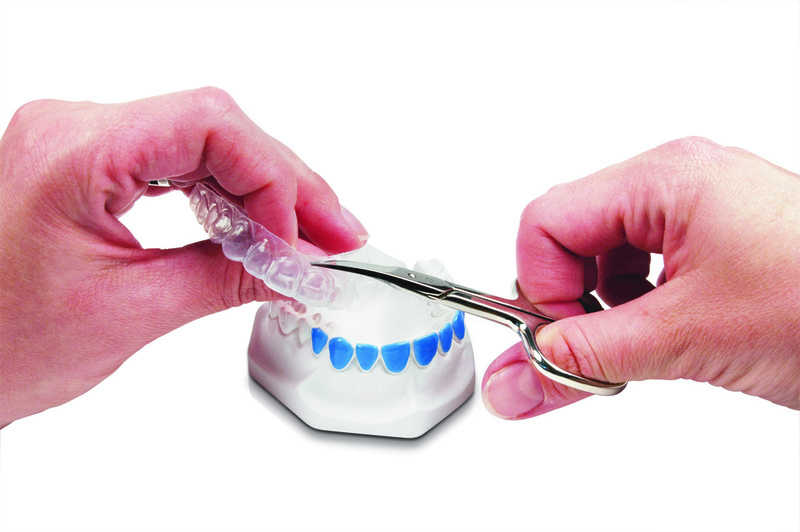 Some doctors prefer ‘reservoir’-style trays to hold the bleaching solution in place. Others prefer a standard tray, into which the patient will add a small amount of bleaching solution which will spread naturally onto the labial surface of the tooth while wearing. 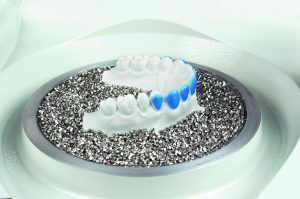 If you are producing a ‘reservoir’ bleaching tray, you’ll firstly need to create space for the bleaching solution. 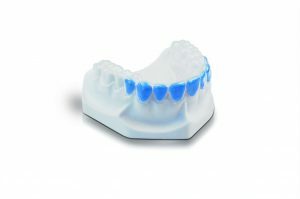 This is best achieved by applying a layer of BLUE BLOKKER® directly to the model’s labial surfaces, in the desired layer thickness. Reservoirs can also be created using a thin layer of HARDCAST® which can be trimmed and shaped to desired reservoir shape. When the layer of BIOPLAST® bleach is pressure-formed on top of the HARDCAST®, the two materials will not stick together. The layer of HARDCAST® can then be removed to leave a nice, even reservoir. Place the model on to the platform or embed in pellets. Position the blank over the model and perform the heating and cooling process according to the blank instructions. Use scissors or a scalpel to remove the excess material and cut to size. Soften the square edges with BIOPERM trimmer and polish with DIMO®PRO or OSAMU POLISHER at a slow RPM. When heating the blanks, ensure the writing is face up. All the products and accessories used in this guide are available to order online. BIOPLAST® bleach 1.0mm This material has been specially designed for bleaching trays using a material that is similar in composition to BIOPLAST® 1mm but with extra rigidity built in. The result? A hard-wearing, yet comfortable and flexible tray. BIOPLAST® INSULATING AGENT Insulation for plaster models when using BIOPLAST® materials for fabricating bleaching trays and mouthguards. Provides absolute transparency and smooth inner surfaces. COPYPLAST® 1.0mm More rigid than its BIOPLAST® counterparts, COPYPLAST® is a hard-working material. It’s soft and flexible enough to be used for bleaching trays, and yet strong enough to be suitable for fabricating retainers. BIOPLAST® 1.0-3.0mm This is a very soft, almost rubber-like material. 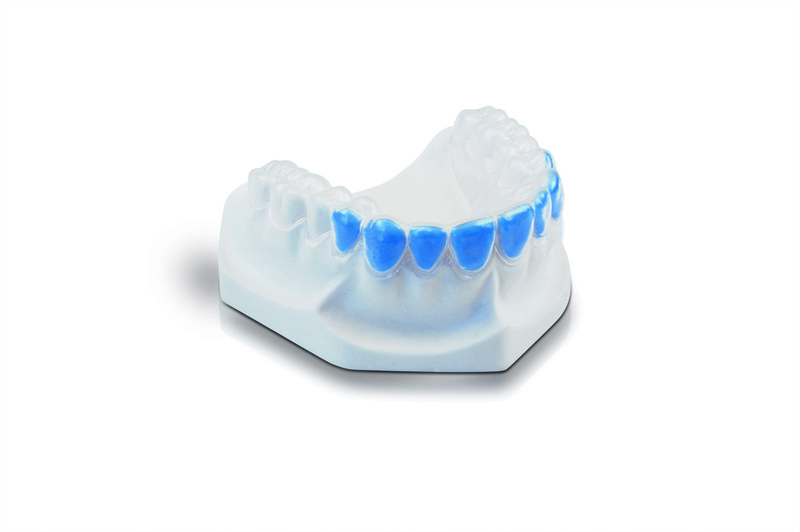 Transparent and deceptively strong, the BIOPLAST® was used for bleaching trays long before the development of BIOPLAST® bleach, this range of materials is ideal for doctors who like thicker trays, suitable thicknesses are 1.5mm and 2mm. BIOPERM TRIMMER For trimming of soft-elastic and compound material. Pkt of 2. OSAMU POLISHER For finishing and polishing of soft-elastic and compound material. DIMO®PRO Trimming wheel made of special elastomer with fine, fibrous structure. Extremely long working time, with mandrel. LARGE FOIL SCISSORS Robust and durable scissors for cutting splints or inserting cuts into splints after pressurising. SMALL SCISSORS These scissors are made from a high quality autoclavable stainless steel alloy. For better handling, scissors are curved laterally and micro serration prevents slipping. LC6 LIGHT OVEN High capacity light polymerisation unit for up to 4 models or fixators. Its inner dimensions of 170 x 160 x 120mm offer enough space for articulated and mounted models. 6 fluorescent light tubes (3 UVA and 3 blue light) and an aluminium reflector guarantee homogenous illumination. 2 polymerisation times of 5 and 10 mins are already pre-set in accordance with the light-curing material DURASPLINT® LC.